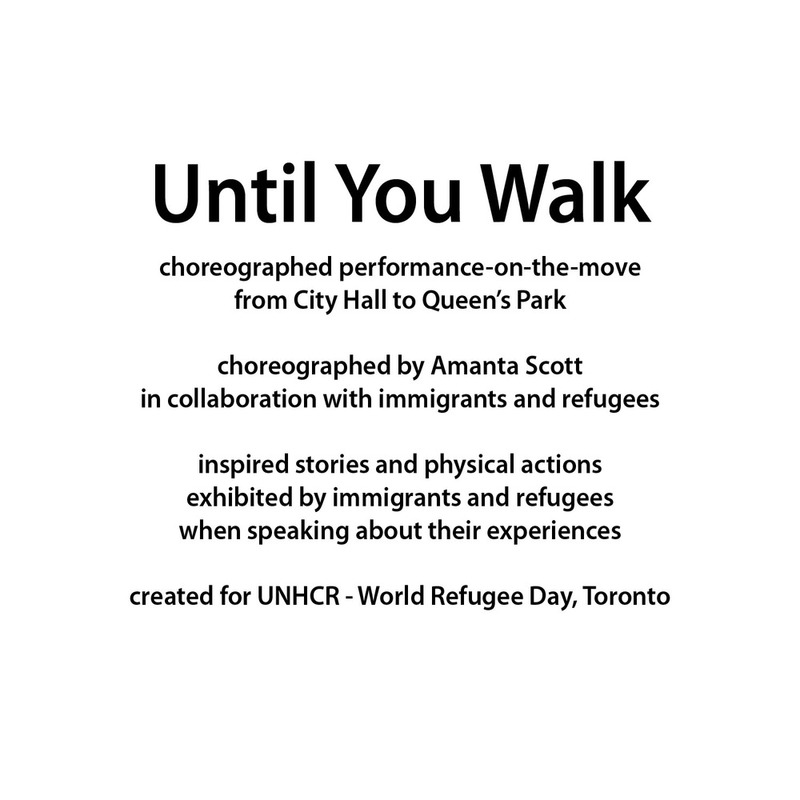 UNTIL YOU WALK - performance-on-the-move - choreographed by Amanta Scott, commissioned by UNHCR United Nations Humanitarian Council for Refugees, for World Refugee Day Toronto. The performance commenced at Toronto City Hall, continued up University Avenue and concluded at Queen's Park. 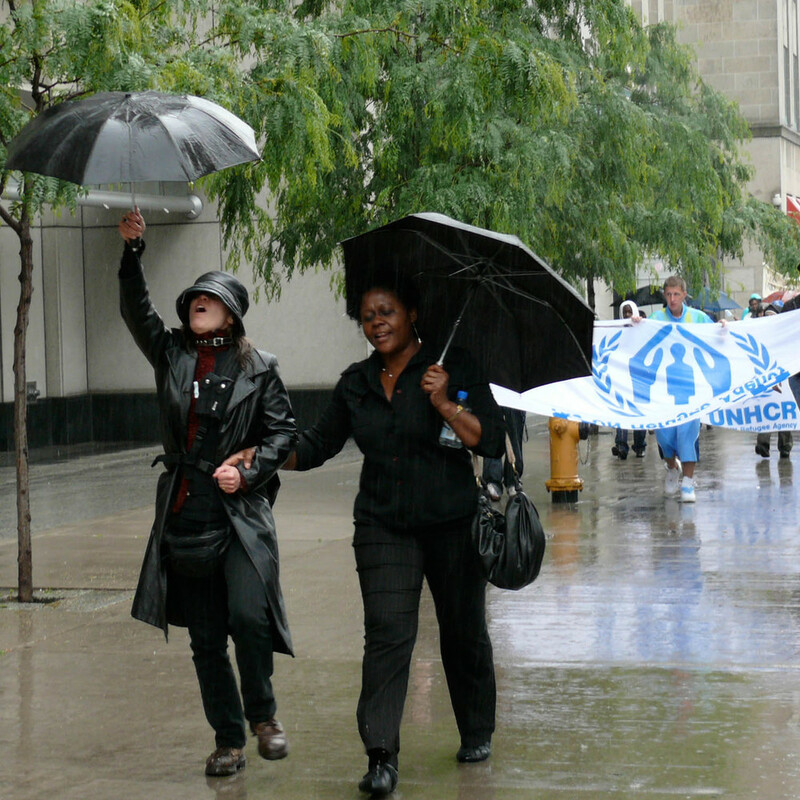 UNTIL YOU WALK was a process-oriented art project directed by Amanta Scott and created in collaboration with refugees and new Canadians. Participants were invited to speak of their experiences, sharing as little or as much as they felt willing or able to share. Choreography evolved based upon Amanta's observations of participants' spontaneous movements while telling their stories. UNTIL YOU WALK was designed to honour and illuminate aspects of the refugee experience.